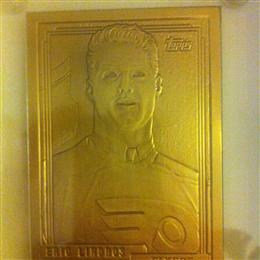 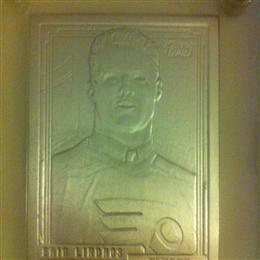 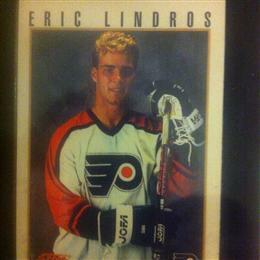 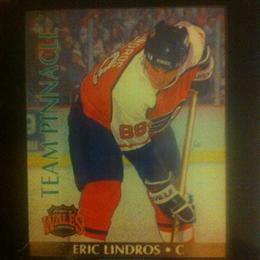 Rich Cavallaro's My Eric Lindros Cards & Memorabilia (in process of adding) Collection - Collected It! 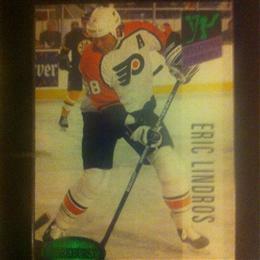 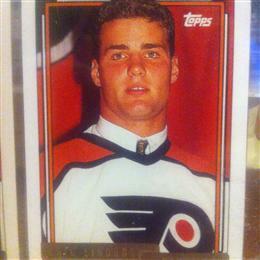 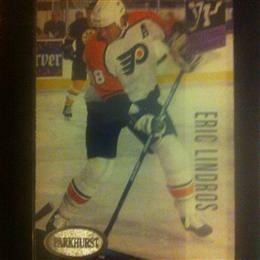 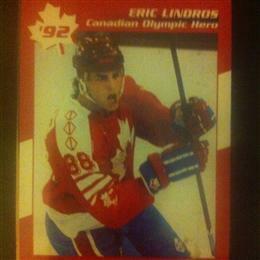 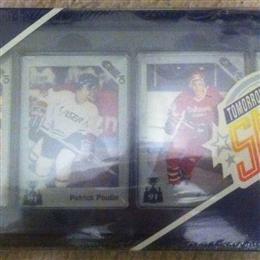 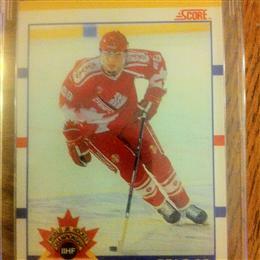 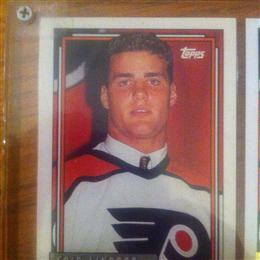 This is another rare Eric Lindros card of the 1990 Memorial Cup set by 7th Inning Sketch. 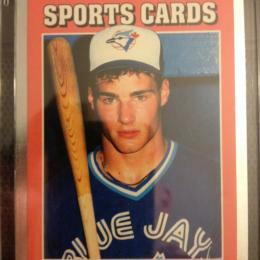 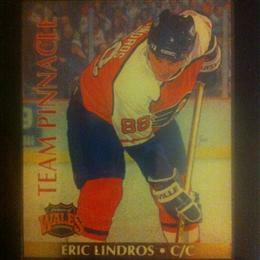 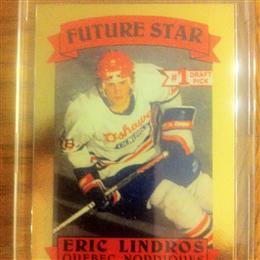 This is card #88 from that set and is 1 of 2 Lindros cards from the set which was released without any official packaging like the 1991 set. 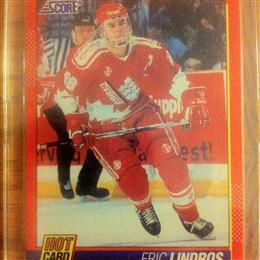 This is another rare Eric Lindros card of the 1990 Memorial Cup set by 7th Inning Sketch. 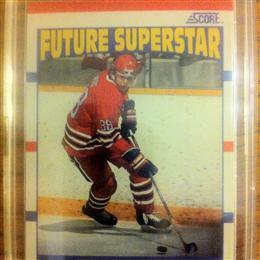 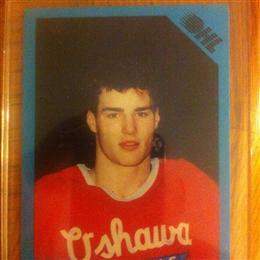 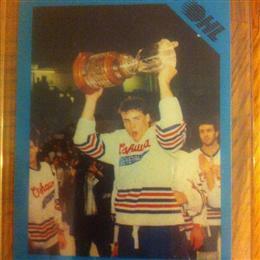 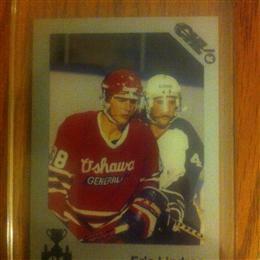 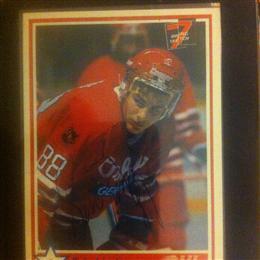 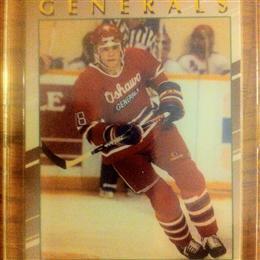 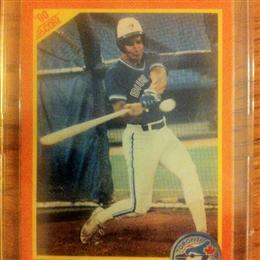 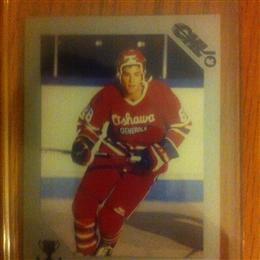 Even though is not labeled as an Eric Lindros card, it shows Eric holding up the memorial cup his Oshawa Generals won. 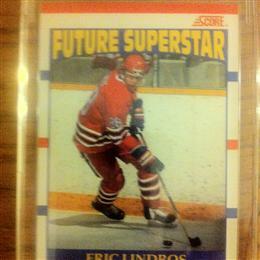 This is card #88 from that set and is 1 of 2 Lindros cards from the set which was released without any official packaging like the 1991 set.